Items from Prince's extensive Paisley Park archives are to be flown over to London this October to be displayed at the O2. As The Guardian reports, the items include a shiny purple coat, bejewelled cane and ruffled shirt, and all belonged to the late musician. The items were created for Prince to wear as part of some of his by now legendary tours in support of records such as 1984's Purple Rain and 1988's LoveSexy, with the exhibition at the O2 also set to feature a number of Prince's customised guitars and various stage costumes worn across a number of tours. The exhibition will run for 21 days from 27 October, and marks 10 years since Prince played a run of 21 sell-out shows at the O2 in 2007 as part of his Earth tour, still an unbeaten record. All the items featured in the exhibition will be coming from Paisley Park, which was made open to the public earlier this year following his death in early 2016. Angie Marchese, director of the archives at Paisley Park, told The Guardian that Prince had always envisaged making it open to the public. Prince's younger sister, Tyka Nelson, said the success of the tour in 2007 had made London one of his favourite places. 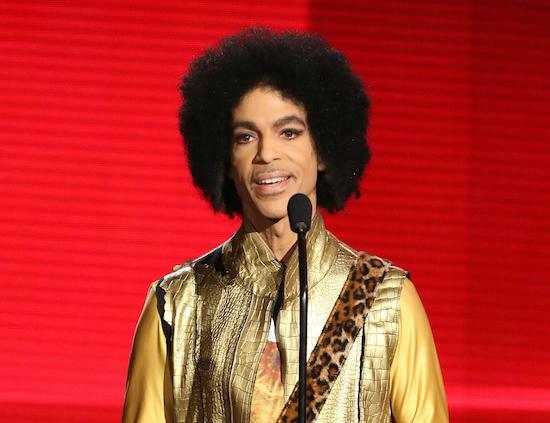 "This is the first time we’ve taken any items out of Paisley Park," she told The Guardian. "I'm so excited to be able to meet the fans and share their Prince stories and give them hugs, and have a cry with them if need be." Tickets will go on sale this Friday (August 25), and you can find more information on My Name Is Prince here.